In Store & Online: Pacsun spring sale, buy 1 item get one 50% off. Online: Use a Pacsun coupon code at checkout to enjoy 10% Student Discount site wide. In Store & Online: Get on their list for email updates and receive a 15% printable coupon or online coupon for Pacsun retail stores, sign up is at the top of their home page where it says "connect with us". Shop Pacsun today and get 20% off 1 regular priced item. Print coupon for a $10 discount on your purchase of $25 or more at your local Pacsun store. Valid on regularly-priced items only. Visit Pacsun today with this coupon and get $20 off $100 purchases, Valid at Pacsun and Pacsun outlet stores. This Weekend Only! 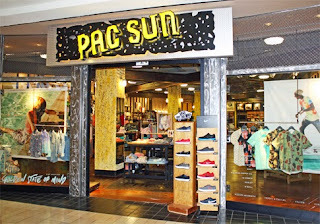 Print coupon and receive a 20% discount on one regularly-priced item..
Pacific Sunwear of California, also known as Pacsun offers a great selection of trendy styles and the latest looks in casual teen apparel, accessories, shoes and more by known brands like Roxy, Hurley, Quicksilver, Billabong. Redeem Pacsun coupons online and in store for extra savings! 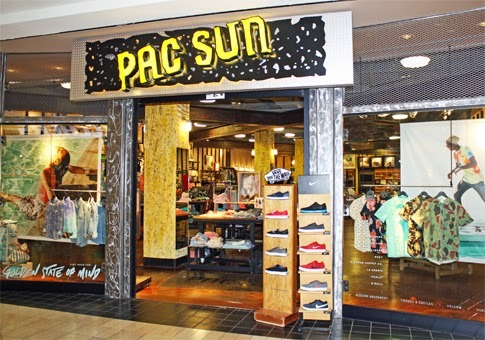 Pacsun store designs apparel, footwear for teens and young adults, their merchandise resonates with today's youth and offers a great selection of trendsetting casual fashions for men and women.